The last two years have brought dramatic changes for Snarky Puppy. Independent since their inception almost 13 years ago, Snarky Puppy’s grass-roots approach to the changing music industry has met major critical and commercial success, as well as two Grammy awards in three years. The first was with Lalah Hathaway on Family Dinner – Volume One for “Best R&B Performance” in 2014, and the second in 2016 for “Best Contemporary Instrumental Album” with the Metropole Orkest on Sylva, a 60-minute suite of music written by League specifically for the 64-piece ensemble. They have been on the cover of both Jazz Times and Downbeat magazines, the feature story in the Sunday Arts section of the New York Times, voted “Best Jazz Group” in the 2015 Downbeat Reader’s Poll, voted “Best New Artist” and “Best Electric/Jazz-Rock/Contemporary Group/Artist” in the 2014 Jazz Times Reader’s Poll, and called “one of the most versatile groups on the planet” by Rolling Stone. They have performed over 1,200 times on six continents. Snarky Puppy is a three-headed animal. First and foremost, it’s a creative music ensemble dedicated to original instrumental music. Secondly, it’s a session band that engages in collaboration with outside artists for special projects, as it has with ensembles like the Metropole Orkest and individuals such as Lalah Hathaway, Laura Mvula, Salif Keïta, David Crosby, N’Dambi, Becca Stevens, and Jacob Collier, to name a few. And lastly, it’s a group of musicians wholeheartedly committed to music education and outreach. They have given clinics and masterclasses at over 200 schools around the world, are active as guest speakers in international music business panels, and work regularly with non-profit organizations in an effort to better serve the community at large through the arts. Beginning in 2017, Snarky Puppy will launch a new online video lessons initiative with specialized tutorials from each individual member of the group. Seeking to capitalize on the music-hungry, audiophile fanbase that developed around Snarky Puppy, Michael launched the imprint GroundUP Music under the umbrella of independent parent company Ropeadope Records in 2011. With the growth of the label, GroundUP went fully independent in 2016 and accumulated a roster of both well-known and upcoming acts in an ambitious year of over a dozen releases (including Charlie Hunter and David Crosby among many others). Michael brokered a unique partnership with Universal Music in which GroundUP and its artists retain complete creative independence while working with the distribution giant to do what it does best- promote and make music easily available to both new and existing fans worldwide. Fresh off of the heels of its tenth album, Family Dinner – Volume Two, the band returned to its roots as an instrumental ensemble with a brand new collection of nine original songs entitled Culcha Vulcha. A departure from its signature live-from-the-studio film and audio style, the band spent a week in the middle of a pecan orchard at the remote Sonic Ranch Studios in Tornillo, Texas, just a five minute walk from the Mexican border. With no cameras, no audience, and the opportunity to overdub, they have crafted an album much darker and moodier than any before it. The typical flash and bombastic moments that Snarky Puppy is known for have been replaced by a more patient, restrained, and sonically creative approach to both composition and performance. The melodies are intricate, the counterpoint is fluid, and groove reigns supreme in mixes that are bass and percussion-heavy. For this show The Beaver Creek Lodge will offer a promotional rate of $289/night + resort fee, free-parking. This offer can be booked directly through the reservations team at 1-800-583-9615. 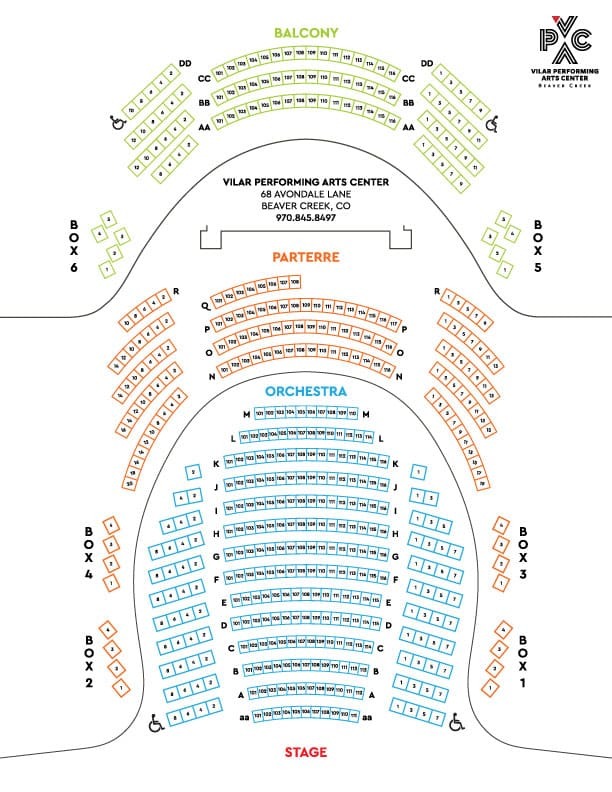 Simply mention Vilar Performing Arts Center or VPAC when booking. For this show the Westin Riverfront Resort & Spa will offer 20% off the Best Available Rate (BAR). To book call (970) 754.2054 and mention the VPAC Snarky Puppy show.